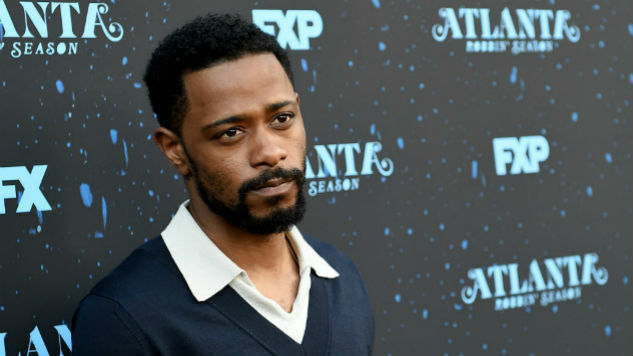 An adaptation of Ronald Wimberly’s 2012 graphic novel Prince of Cats is in the works, with Lakeith Stanfield in talks to star. As Deadline reports, the adaptation from Legendary would be a vehicle for the Atlanta and Sorry to Bother You lead. The graphic novel reimagines William Shakespeare’s Romeo and Juliet from Tybalt’s—Romeo’s rival—perspective and is set in 1980s New York. The movie will follow Tybalt and his fellow Capulets as they navigate the violent Brooklyn underground, as well as the music scene developing alongside it. In case you forgot from 10th grade English, Tybalt frequently clashes with Romeo’s best friend Mercutio; throughout the play, Mercutio refers to Tybalt as the “Prince of Cats,” an anthropomorphized cat character of the same name in Reynard the Fox, a series of fables from the Middle Ages. Needless to say, the joke has not aged well. Selwyn Seyfu Hinds is set to helm the project. The director recently helped to bring the George R.R. Martin-produced adaptation of Nnedi Okorafor’s novel Who Fears Death to HBO, and is developing the novel Running a Thousand Miles for Freedom into a feature film starring Zendaya (The Greatest Showman). Stay tuned for further updates on Prince of Cats.